We are preparing to plant a 1/4 acre Kitchen Garden in Malibu with veggies, fruit trees and flowers. After 2 months of intense program spraying with Biodynamic preparations to bring life to the soil, the soil was opened up, and sprayed again with horn manure. And then…we were in luck – it rained. Last week we added some Sweet Lime, then Biodynamic compost, and a thick layer of mulched organic woody matter, then covered it all with straw and watered well. It didn’t happen overnight, but it’s so exciting to see the soil that was hydrophobic and with low organic content turn into butter-textured soil with a rich crumbly structure that will now hold water very well! We don’t use fertilizers; to mineralize the soil we only amend with a small amount of sweet lime for calcium deficiency and with Biodynamic compost- a natural fertilizer. It is inoculated with BD preps of herbs: yarrow chamomile nettle oak bark dandelion and valerian. It is the Biodynamic preps that make the difference- they stimulate and attract all the proper nutrients and increase the soil life. In 2 weeks we shall till it all under and spray again with tea made of Barrel compost and #500. And soon we shall be ready to seed with quick green manure cover crops to add nitrogen, and to increase soil life and beneficial insects. Along the farm’s perimeter we shall also broadcast the seeds of mixed wildflowers, sunflowers and lupine. It seems like a lot of effort, but we are building healthy fertile soil for the future of a productive veggie and fruit garden. In 6 months it will look very different! Prince Charles has been championing sustainability in the most practical ways for 30 years. 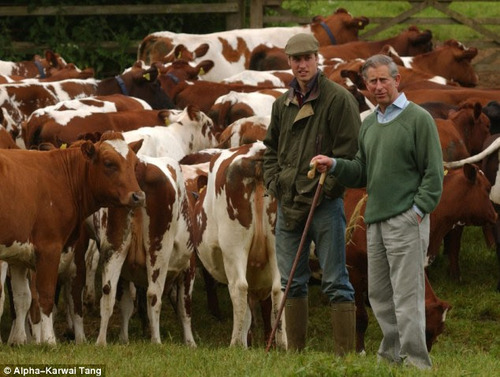 At his Highgrove Estate in Gloucestershire and at his Duchy in Cornwall, whose products, Duchy Originals, have been consistently turning a profit; his experimental, progressive methods, including Biodynamics (since 2005), have caused his critics to shut up and take note. The green Prince’s focus has always been the health of the soil, and by extension, the financial success of farmers; but his activism extends to other sustainable practices: besides organizing organic farming workshops, he creates initiatives such as affordable rural housing, anerobic digestion (waste to energy), and gives stirring speeches against modern food production practices. HRH goes so far as to urge the CFO’s of large corporations to ‘embed sustainability’ into their business plans as a matter of their future survival in the global market. We like. except for Sacred Cow Biodynamic Compost. Most contain chicken manure that is not organic! hard pan (hard clay soil). You can start the healing process of your soil now. People have seen fantastic results using biodynamic compost. It revives sickly trees and makes flowers bloom! For more info, call 805-646-4294.
by restoring it’s vital life energy which has disappeared. For the past 21 years, I have had the opportunity to practice biodynamic agriculture as a full-time farmer in Fresno, CA. Based on my 21+ years of experience, I would be afraid to engage in any other type of agriculture practice because most other practices are not self sufficient nor sustainable. Currently we are farming approximately 100 acres of Demeter certified biodynamic vineyards, almonds, mixed vegetables and citrus. What the past 2 decades have demonstrated to me is a vast improvement of soil performance (to include better structure, increased humus levels and microbiological activity, increased water holding capacity, increased performance); average and above average production performance depending on weather conditions (to include better tasting product and longer shelf life); and greater overall biodiversity (to include plant, animal, birds, and insect population diversity). Biodynamic works within the realms of the living and the rhythms of earth and sky. Future practitioners have to have the courage to think in new way, act decisively and willing to move differently. Biodynamics is the farming of the future, especially given the inconsistencies of weather and seasonal abnormalities. In 1924, Rudolf Steiner, gave us the gift of biodynamics. I can only hope more farmers find the courage to engage in this proven practice. Flowers – Till or mix in approx. 1/4 inch biodynamic compost to topsoil. Water in. Repeat every 3-4 weeks. For planting: Dig your hole. Use a 1:4 mix of the compost and soil then top off with a 1/4 inch of compost and water it in. For container gardens: Use as a top dressing instead of fertilizers. 1/4 inch inch, mix gently and water it in. Sick plants: Roses with rust, black spots, aphids, mildew. Use up to 1 inch of the compost depending upon the severity of the issue. Mix in and water it in. For really toxic immune systems, make a biodynamic compost tea. 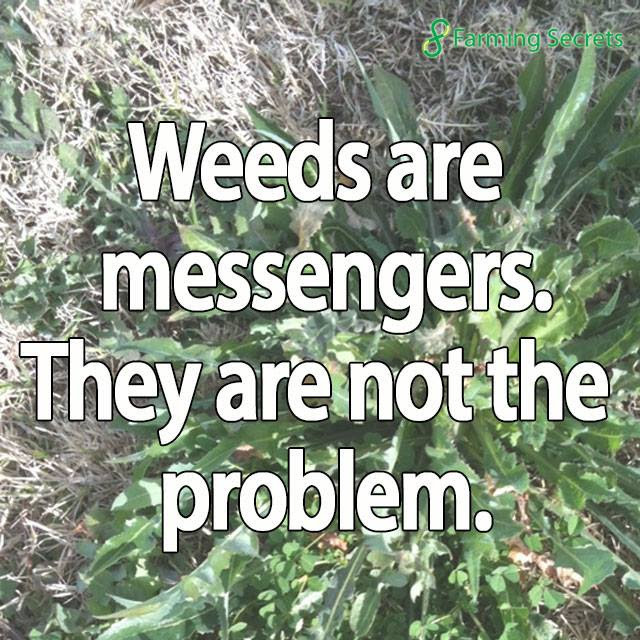 Lawns – Apply every 4 months, spread approx. 1/4 inch of biodynamic compost over lawn (under normal conditions) and water in. bees and all other nature visitors! Veggie gardens – Mix 4:1 (potting soil and biodynamic compost) prior to seeding or transplanting. Water In. Sidedress approx. 1/4 inch 3-4 weeks later. Healthy soil – Till or mix in 1/4 inch of biodynamic compost. Water in. Repeat every 4 months, or as needed. Poor soil – Till or mix in 1/4 inch biodynamic compost in topsoil. Water in. Repeat every 2 weeks until soil improves. * R. Steiner- Plants can never be diseased in a primary sense since they are the products of a healthy etheric world. They suffer rather from diseased conditions in the environment, especially in the soil. For information on Gena’s biodynamic food farm, please visit: http://www.marianfarmsbiodynamic.com. via 4 Ways to Create a Biodynamic Back Yard: Organic Gardening.